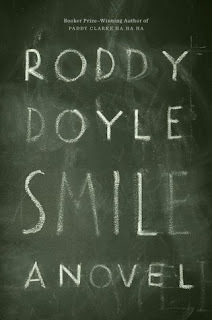 Smile by Roddy Doyle is a very highly recommended excellent novel about a man examining his life and the uncertainty of memory. Victor Forde, 54, is a failed writer who is looking for a local pub that he can call his regular place. After his recent separation from his famous wife, Rachel, he has returned to his hometown and rented a cheap apartment. Now he simply wants a quiet place where he can have a slow pint at night. He's decided on Donnelly's. Then a man called Fitzpatrick shows up there, sits next to him, and immediately claims to know Victor from secondary school. Victor doesn't recall the man at all and , in fact, dislikes him on sight. As he finds a group of regulars to sit with at Donnelly's, what Victor tries to do is avoid Fitzpatrick at all costs. The man acts like they are best friends, but, as he reviews his life, Victor seems to be afraid of what Fitzpatrick might reveal. Fitzpatrick seems to know a lot about Victor, but Victor cannot remember him at all. What Victor does is begin to reminisce on events from his past. He looks back at his life as a rock critic and political journalist. He recalls when he met Rachel and her rise to fame. He recollects the radio programs where he was invited to speak on controversial issues. But he especially begins to remember his years being taught by the brothers at St. Martin's Christian Brothers School, especially one brother. Doyle brings all of his considerable, skillful writing ability to bear here and the result is stunning. Smile may not evoke any mirth the title implies, but this is a memorable, tenacious, and daring psychological mystery. the ending will have even the most careful reader take pause and reexamine everything they have just read. This is an exceptional novel that begs the reader to question how we recall our own memories of events that have occurred in our lives. Most of the novel is written in flashbacks. Not much can be written about the ending, but it will shock and disturb you. 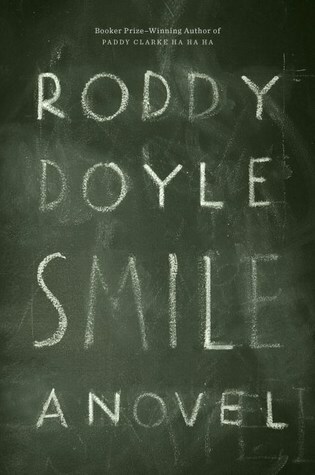 Smile is nothing like any other novel by Doyle I've read, and yet it is remarkable. It also makes Smile a novel that is quite unforgettable.